Getty. Facebook CEO and founder Mark Zuckerberg testifies during a US House Committee on Energy and Commerce hearing about Facebook. 1. “Facebook cannot be trusted” — New Zealand’s Privacy Commissioner has released a series of tweets harshly criticising Facebook and their recent efforts police the platform. The Commissioner’s aggressive stance follows the livestreaming of the tragic Christchurch shooting. 2. The Aussie dollar has been holding steady, bound to tight range for two months now, but where to next? Many traders believe that there is weakness in the Aussie ahead but Citibank’s Global Macro Strategy team has said that fiscal and monetary easing in China will lead to strengths ahead. Time will tell. 3. UK is enacting tighter regulations on social media platforms. The planned laws apply to any content that is deemed to cause “online harm” such as sexual abuse, violence, hate speech and terrorism, self-harm, and underage sexting. Tech companies want more clarity on how this new legislation will actually work. 4. Australia is losing the Chinese dollar. The latest KPMG report shows that investment from China to Australia has dropped by a third, despite there being an overall rise in Chinese outbound direct investment. Investment from Asia’s largest economy dropped 36.3% to $8.2 billion in 2018 and real estate is no longer the number one investment — a new category has taken the lead. 5. A little relief for renters as Sydney rents drop and other capital cities see a slow down in rent rises. The latest CoreLogic report suggested that the increase in investor-owned housing supply is helping ease rental pressures. 6. Could apps be our next great export? The number of app developers in Australia has risen 20.35% since 2017 with around 68,000 app developers in NSW alone. Collaborations between education and business are, in part, fuelling the growth. 7. Dalio: “The American dream is lost”. The co-CIO and founder of Bridgewater Associates, the largest hedge fund (currently holding $160 billion in assets under management) thinks the economy is broken. The rising income gap in the US is threatening to weaken and destabilise the economy and with it, the US’s power position in the global economy. Here’s what he thinks can help. 8. Don’t quit your day job. Total job ads has fallen by 1.7% (seasonally adjusted) — the seventh drop out of the past eight months. The metric is usually used to track against unemployment rates and wage growth, but the analysts are pointing to changes in the way employers are sourcing new employees. 9. Channel 7’s Sunrise program is in hot water (again). A Northern Territory community is suing the broadcaster for defamation after showing members of the Yirrkala community during a segment on child abuse. The footage was initially captured during an unrelated filming on a health initiative. 10. Game streaming services and exclusivity contracts could be some of the biggest threats to Playstation 5. Sony announced last year that the new console is in the works, with over 90 million Playstation 4 consoles out in the market. But there are a few key opportunities that will keep Playstation the reigning champion of gaming. 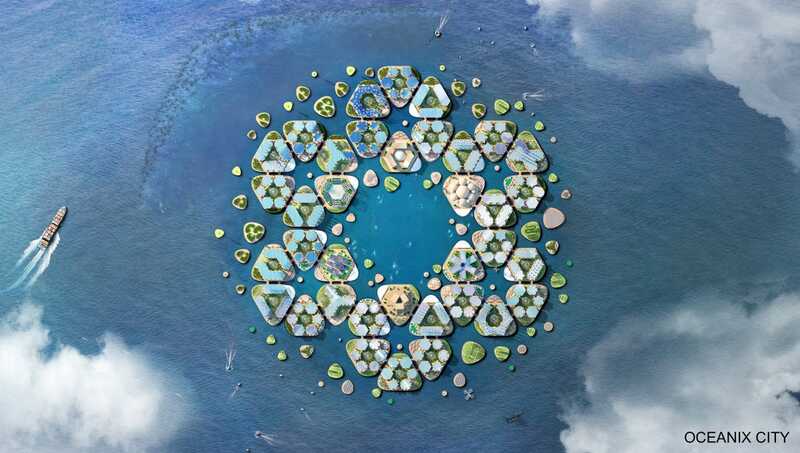 The UN has revealed plans for a floating city that can withstand natural disasters and could be the solution to rising sea levels. Think: underwater farming and beehive inspired living networks.